Since 1964, R&S has supplied the metal building industry with high quality roof accessories and building products customized to meet the needs of the pre-engineered building contractor. 50+ years offering roof accessories to PEMB contractors, builders, mechanical engineers and metal building manufacturers - confident solutions. Complete line of roof products and accessories proudly manufactured in the United States - American integrity and ingenuity. 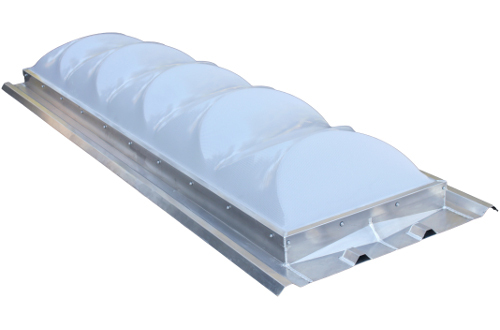 Comprehensive product line enables customers to purchase all roof accessories from a single source - better pricing, faster lead-times, lower freight rates. Designed to replace flat light transmitting panels. The RS36 provides superior prismatic lighting performance with improved safety.